A view displays fields, such as a name or status, in a format that you define. You create views when you build forms that collect user input. By default, a case type inherits fields when you create it. By organizing fields into views, you give users a structured way to review or update case information. You can access the views that are relevant to a case type by clicking the Views tab in Case Designer. On this tab, you can review or edit the views that your team creates. You can also configure standard views to quickly customize the fields that are displayed when a user creates, edits, or reviews a case. In Pega Express, you can also edit your views at run time. 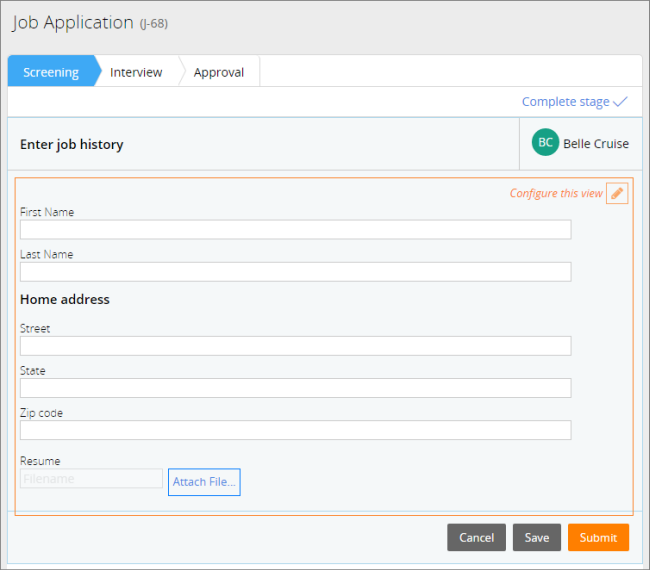 Ensure that application-editing mode is enabled when you process a case so that the Configure this view option is displayed. Periodically review the views in your case type because they are updated as your team builds new forms. 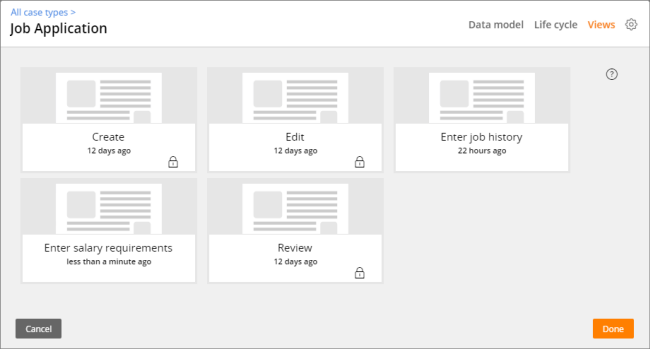 If your team members have access to Designer Studio, they can use the Relevant Records landing page to customize the views that are inherited by your case type.